On Tuesday, May 20th Automotive Dealer Day will officially begin, with not only the traditional meetings and reserved conventions but also workshops from the Content Program. The Pre-Opening Session of the event will have a strong International slant. Later there will be a Special Digital Workshop with two exclusive speakers from a sector leader company. Which way are the auto industry and the dealership business going? With unprecedented pressures and a growing pace of change, players are facing very important decisions. Automotive Dealer Day 2014 takes off with a special international session dealing with some of the hottest topics in the industry. The first part features an overview of the major transformations, an international view of the markets (Carlo Simongini, focus2move) and a special look at a new global player represented by Fiat Chrysler Automobiles (Francesco Zirpoli, Ca’ Foscari University). In the second part Steve Young (ICDP) presents an overview of large dealers who have started to move their business beyond borders, while Bruno Schwambach (Grupo Parvi) provides a case-study on a successful Brazilian dealer, a company selling over 90,000 vehicles per year. 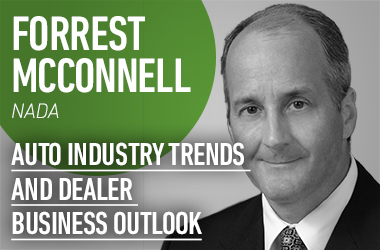 The third part features a roundtable discussion on the key challenges and strategic responses for dealers with participation by NADA Chairman Forrest McConnell and other selected players. The workshop is introduced and chaired by Leonardo Buzzavo (Quintegia – Ca’ Foscari University). Digital technologies are revolutionizing the relationships between cars, consumers, manufacturers and dealers. This is the field of a major challenge with great interests at stake and quite delicate consequences. Join this session to know the main characters of this transformation by listening to two managers of a leading player so to grasp how the upcoming developments are going to impact your business. Shahram Izadi is Principal researcher at Microsoft Research, Ivan Mazzoleni is Advertiser Sales Manager Microsoft Italia.